The CMR CEO returns to New Orleans, and the microphone, in a new visual. Birdman's relationship with Lil Wayne is still unclear, but it does seem to be improving. 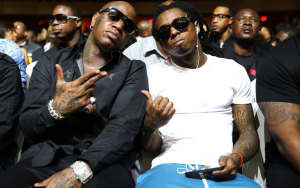 Earlier this year, Birdman reunited some key Cash Money members, along with Wayne, for "Hate". Baby also hasn't shied away from the mic recently, and he continues his return to rapping with "Ms. Gladys." The song features a tribute to his mother in the beginning, as he raps, Hustle right in front Ms. Gladys. Birdman brings along New Orleans up-and-comer Neno Calvin as they march through the city's 3rd Ward. The infamous birdcall ad-lib also makes a come back.